** Synchrony Bank 6 Months 0% No Interest Financing. Equal Monthly Pay plus any applicable taxes. Apply online. Transaction Code 106 Synchrony will advise you of your maximum amount or full credit that you can use towards purchase. 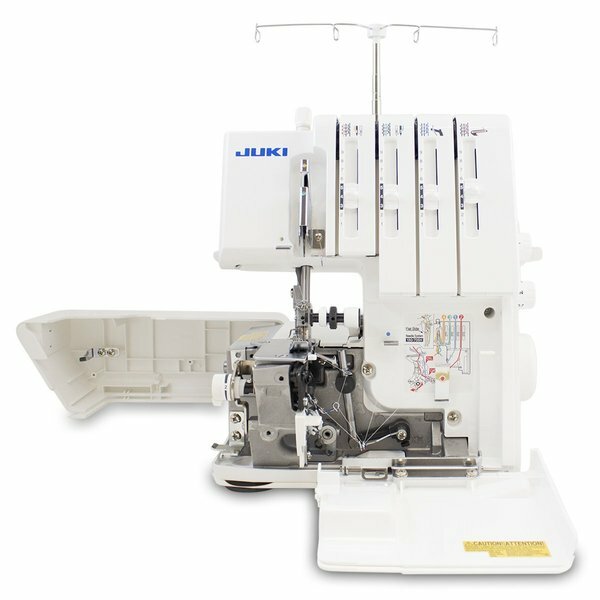 Throughout the machine make threading easy and efficient. No wrapping, just follow the color coded thread path. By simply turning the dial located on the exterior right hand side within the range of 1 to 4mm. 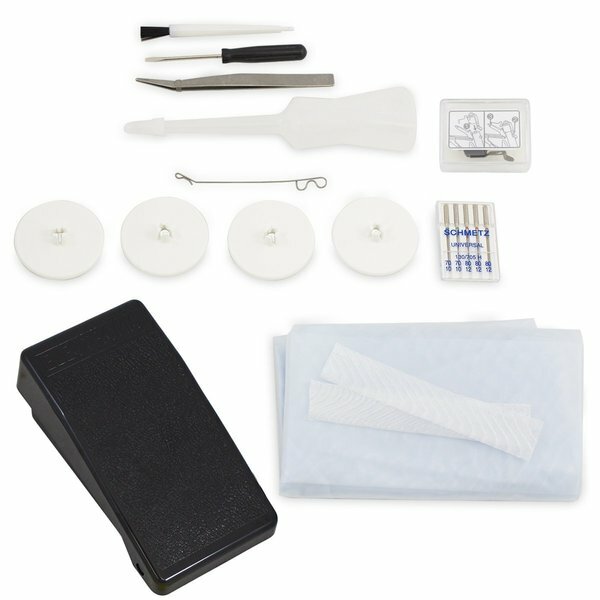 The lower looper threader makes lower looper threading easy. 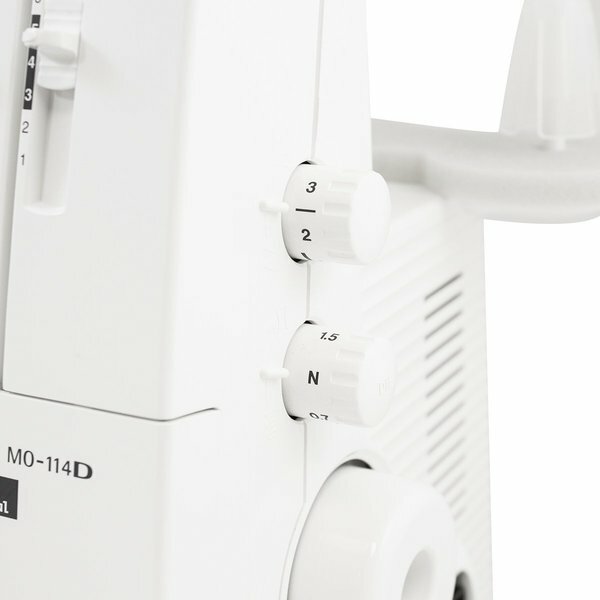 Threading can be done simply by pressing the lever, hooking the thread around the hook, and then operating the lever (MO-114D only). 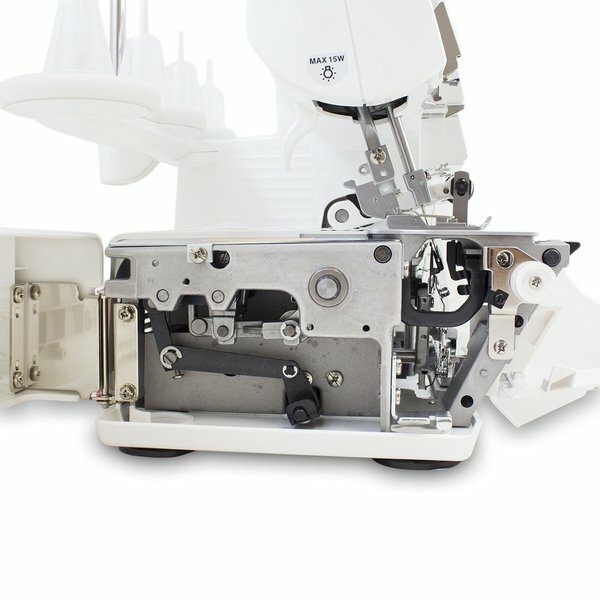 It is possible to switch between roll hemming and narrow overlocking in one step simply by operating the nob for switching the darning width. The position of the side cutter can be adjusted easily with a dial. 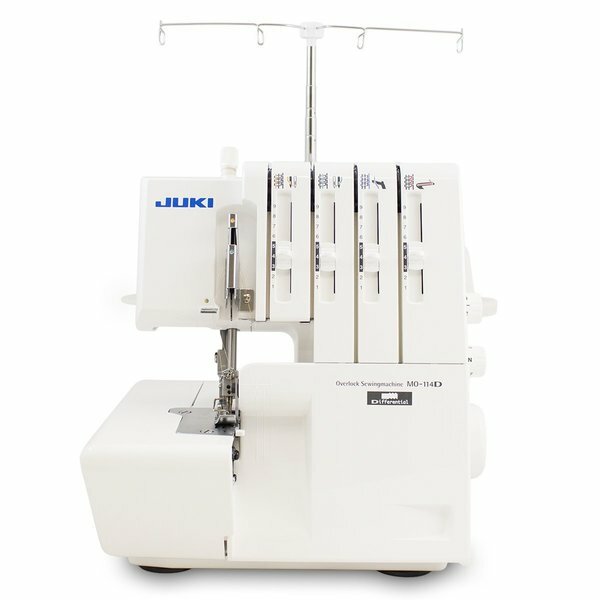 The space between the needle and the cutter can be adjusted by turning the knob, depending on the type of fabric used or the condition of the stitches, such as when the edge of the fabric curls up or when there is extra thread. 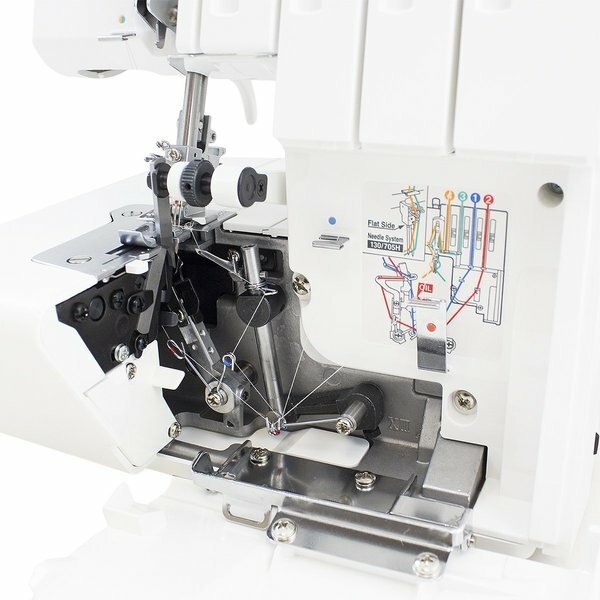 Presser foot pressure can be adjusted by turning a dial, according to the type of fabric used. A lamp is provided to illuminate the area around the needle. 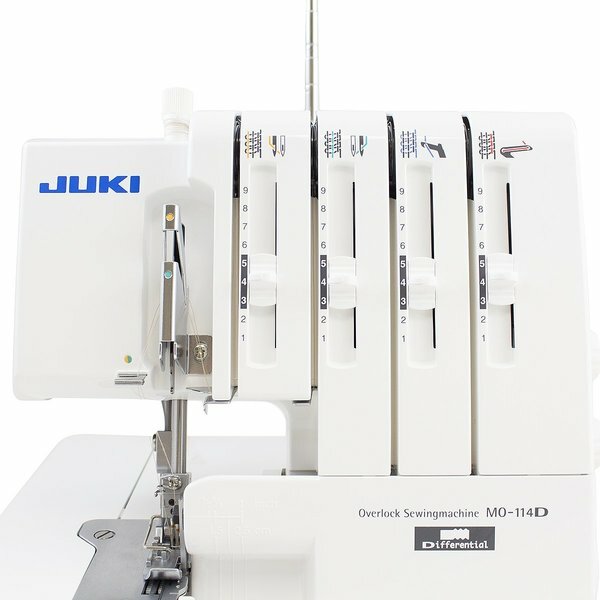 JUKI MO-114D & MO-104 Video Lessons:- Chapter 1: Set Up and Operation, Blind Stitch Presser Foot For Right Needle, Chapter 2: Threading, Universal Blind Stitch Presser Foot For Right and Left Needle, Chapter 3: Trial Sewing After Threading, Elasticator Presser Foot, Chapter 4: Adjustments and Settings, Chapter 5: Securing Seams, Chapter 6: Inserting Needles, Chapter 7: Thread Breakage and Unpicking Seams, Chapter 8: 3-Thread Overlock, Chapter 9: Rolled Hem, Chapter 10: Maintenance, Chapter 11: Presser Feet. 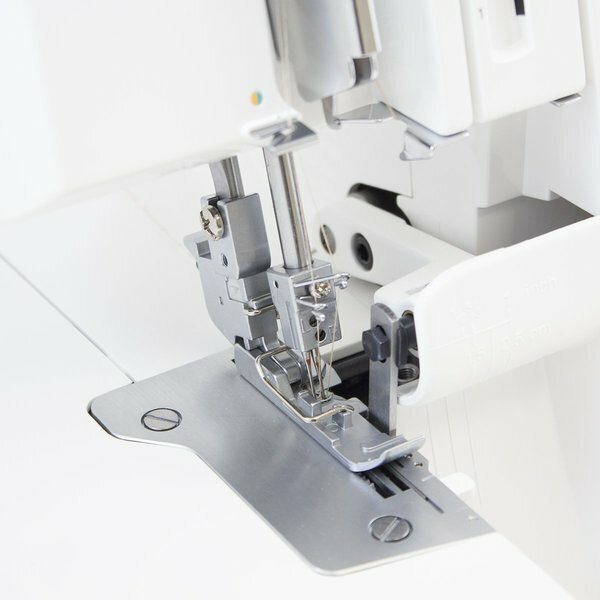 See how easy the Rolled Hem switch over is from regular serging to fine satin stitch without having to change needle plates for stitch fingers . Heavy duty cutting capability from overhead moveable knife against lower fixed knife. Heavy duty loopers, cams, differential feed dogs, lower and upper needle shafts. 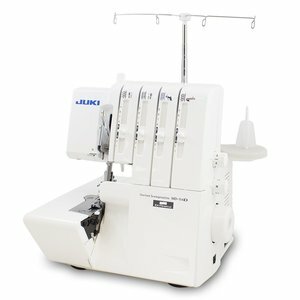 Accessories, including 2 thread adapter to change from 4/3 to 2 thread rolled hems or flat seams.